Bloomsbury Publishing PLC, 9780826429728, 804pp. 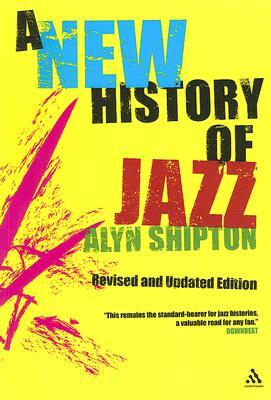 Alyn Shipton is on the editorial board of the new Smithsonian Collection of Classic Jazz, to be released in late 2006, and this new edition of "A New History of Jazz" will be referenced throughout to tracks in this new multi-CD collection of essential jazz recordings. All the great names in jazz history are here, from Louis Armstrong to Miles Davis and from Sidney Bechet to Charlie Parker and John Coltrane. But unlike those historians who call a halt with the death of Coltrane in 1967, Shipton continues the story with the major trends in jazz over the last 40 years: free jazz, jazz rock, world music influences, and the re-emergence of the popular jazz singer. This new edition brings the book completely up-to-date, including such names as John Medeski, Diana Krall, Django Bates, and Matthias Ruegg. There are also important new sections on Latin Jazz and the repertory movement. Alyn Shipton presents jazz radio programs for the BBC and is a critic for The Times in London. He is the author of several books on music, as well as a music publisher and editor. He divides his time between Oxford and the French countryside. In 2010, he was voted UK Jazz Broadcaster of the Year.